Even Lady Moura can suffer from the ravishes of sea air and the burn of the Mediterranean sun. 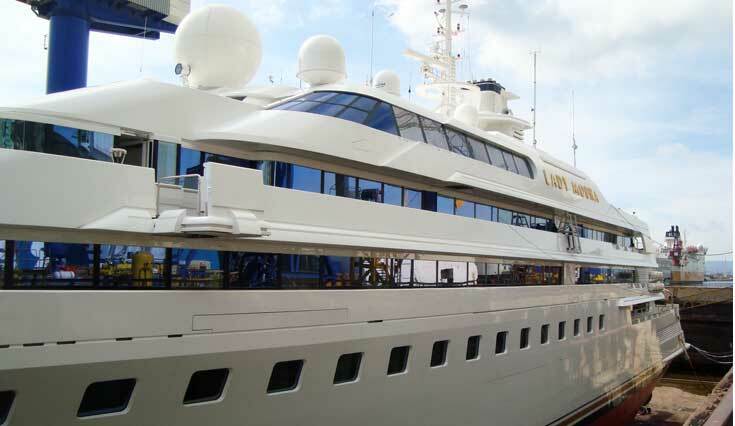 Whilst the Wild Group team were performing a test patch on Lady Moura’s chase boat, the Mangusta 92, Little Saf, the captain enquired about restoring Lady Moura’s external blind windows. “They were in desperate need of renovation” he said. The seals were broken and air ingress was causing discoloration and delamination at the edge of the glass. There was also oxidization on some of the windows making them appear red. Something had to be done. 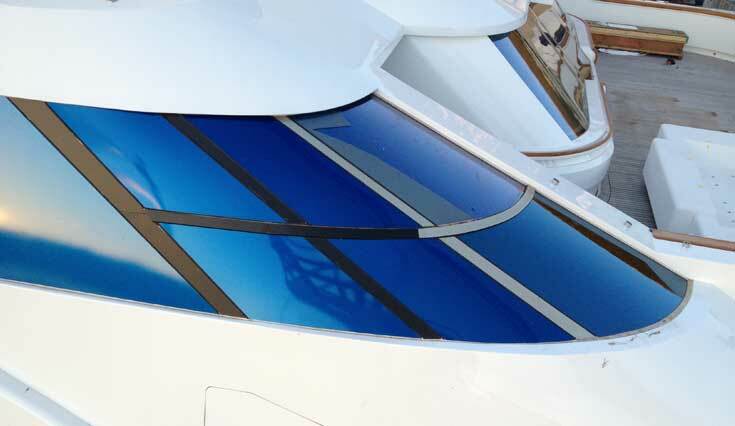 So after consultation between the Captain and the Directors of Wild Group International it was agreed that a marine grade blue tint vinyl film was the best solution, offering the perfect colour tint match. The Wild Group sourced a specific bespoke blue tint and answered all the captains’ questions about the material. New foil was applied to twenty four of the blind windows including some of the larger complex shaped windows. The silicone seal at the window edges was removed prior to applying the new foil and then re-applied afterwards, so as to ensure longevity and a great standard of finish. The window Mullions were also in desperate need of replacement. These were originally black anodized aluminium but had been bleached in the sun delivering uneven tones of grey/ black throughout. 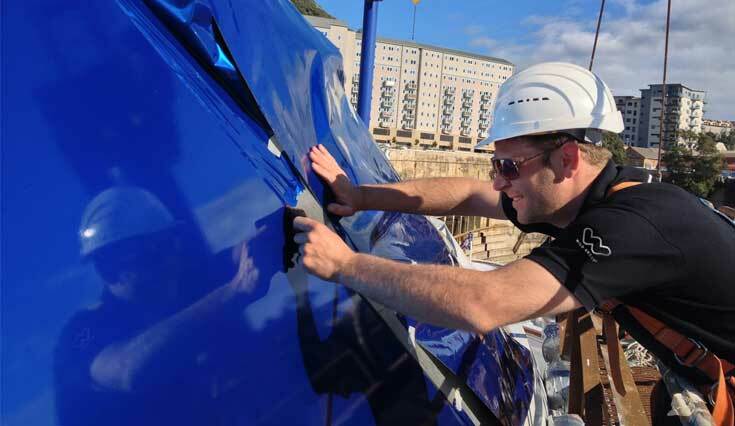 188 Mullions were lined in a black matt vinyl offering a UV protective coat that would outperform paint and prevent the timely task of having them removed and replaced while the boat is put into a dusty work shed. Again the silicone seal at the mullion edges was removed prior to applying the new vinyl and then re-applied afterwards, so as to ensure longevity and a great standard of finish. The foils to the windows and mullions took place in Gibraltar over 4 days. “I like to say thank you for the great job your team has done. We are very happy with the result and looking already for other places to apply foil. 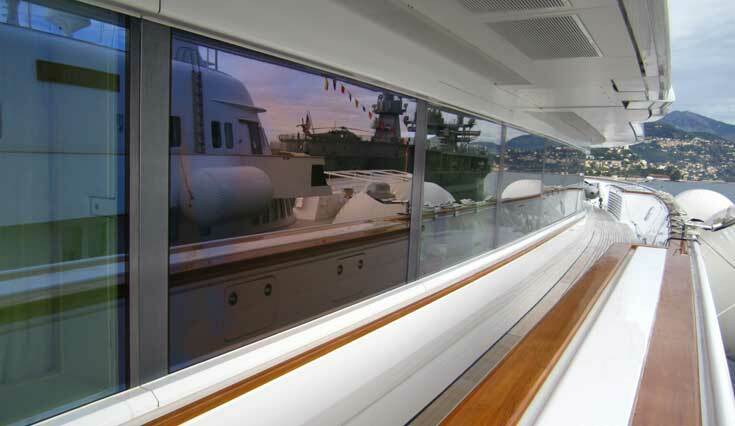 The appearance of the old windows is fantastic with the new black mullions in between” Comments the Captain of Lady Moura. 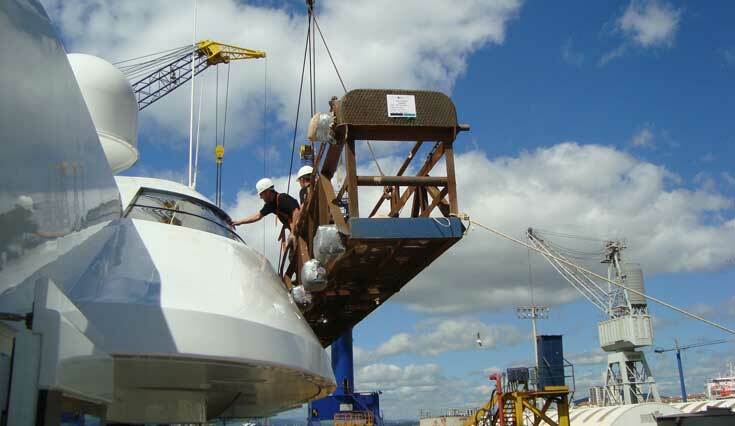 “It is excellent to work with a yacht that is so accommodating. 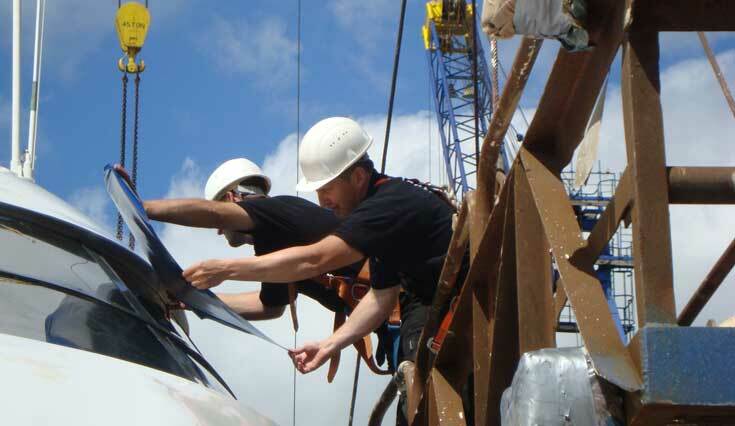 The captain and his team went out of their way to enable us to do a professional job, including supplying a crane/ access and first class food and accommodation. We look forward to an ongoing great working relationship with M/Y Lady Moura” added Greg Hoar, Director Wild Group International.